The HSM 2019 is a monthly historical garment challenge. Every month in 2019 will feature a themed challenge. Sew (or knit, or crochet, or tatt, or embroider, or milin, (or whatever it is you call making a hat), or otherwise create) a historical garment or accessory that fits the monthly theme. We’d love it if you did all 12 challenges, but how many you complete is up to you. Push yourself and participate in all 12 challenges, do a half-marathon with 6, or just pick and choose the ones that fit your sewing schedule. 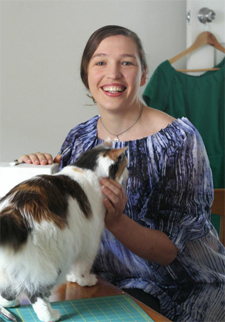 Your HSM 2019 item can be as basic or elaborate as you want, from a simple fichu to fill in the neckline of a gown, to a full ensemble from the undergarments outward: whatever you need and are able to do time and skill-wise. However, each item should be a complete, wearable item on its own: so an Elizabethan sleeve, which could be moved from one outfit to another, counts. A Victorian sleeve, which was permanently sewn into a bodice, does not. You can start your project as early as you need to get it done in time – it doesn’t have to be made from start to finish in the challenge month. However, as the HSM 2019 is meant to encourage new creations, your challenge item should be finished no more than one month before the challenge starts. (so the Feb Challenge can be an item finished Jan 1, but no earlier, etc.). Note that this is finished, not started, so you can start a project as far before a challenge as you wish. Feel free to blog about the process of making your project, or use the HSM 2019 as an excuse to finish a UFO/PHd that you have already blogged about. Challenges are due by the last day of each month. However, we know that life sometimes derails the best planned outfit, so you can still add your item to a Facebook album or blog about it months after the challenge ends. Challenges finished within the deadline do tend to get the most attention and comments. 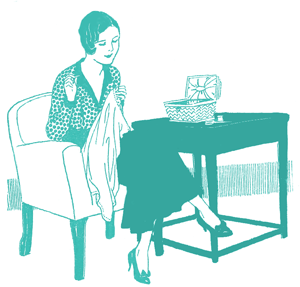 Join the Historical Sew Fortnightly group on Facebook. You can chat with other participants, get ideas, encouragement, and work through difficulties. When your item is done, you can post photos in the album for each challenge, give a description, and link to an online photo album or a blog post if you have one. You MUST answer the questions in order to join the Facebook group. 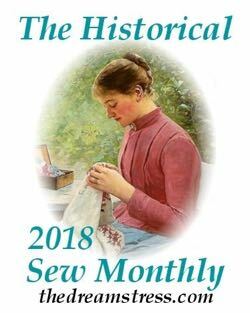 Participate through this page for the Historical Sew Monthly 2019 on my blog.Leave a comment with a link to your blog to let us know you are participating. Grab the button below and post it in your sidebar. Be sure to link it to this page. (unless, of course, you save the image to your computer and re-upload it, in which case your image address will look different). Participate on Instagram! 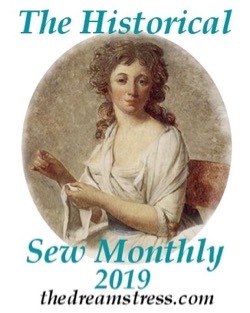 Follow @thedreamstress, and tag me in your finished item posts using #HistoricalSewMonthly2019 and the monthly challenge hashtags suggested with each challenge. I’ll share your finished images on my account. April: Upping your game: make something that really stretches you and that works on the bits that you tend to rush through or skimp on. May: Florals: Create an item that features flowers in some way. June: Favourite Technique: make an item using your favourite sewing or embellishment technique. July: Unexpected: make an item with an unexpected feature. Will it be a snazzy lining, a hidden pocket, or something else? Surprise us! August: Out of a Portrait: lift a garment out of a portrait, and make it up to include in your wardrobe. September: Everyday: It’s not all special occasion frocks. Make something that would have been worn or used for everyday. October: Details: Sometimes the little things really make something fabulous. Focus on the details of your garment, to create something that just gets better the closer you look. November: Above the Belt: No hitting low! Let’s keep things on the up and up as the year closes, and make something worn above the belt.